When it comes to choosing something for postgraduate study, it can be a little baffling trying to make your way through the different jargon presented relating to various courses. Something you may have heard of, but not be sure about, is a Postgraduate Certificate (or PG Cert for short). How these are different from postgraduate diplomas can be very subtle, so we’ll go through some common questions you may have about the postgraduate certificate to help you decide if one is right for you. When it comes to choosing something for postgraduate study, it can be a little baffling trying to make your way through the different jargon presented relating to various courses. Something you may have heard of, but not be sure about, is a Postgraduate Certificate (or PG Cert for short). How these are different from postgraduate diplomas can be very subtle, so we’ll go through some common questions you may have about the postgraduate certificate to help you decide if one is right for you. When Can I Study for a PG Cert? As with postgraduate diplomas, a PG certificate usually follows a bachelor’s or undergraduate degree. Although not necessarily true for everybody, most will study a subject which is similar to whatever they studied as an undergraduate student. Both a Postgraduate Diploma and a Postgraduate Certificate are a Level 7 on the National Qualifications Framework. Generally postgraduate certificates are vocational in nature, but, like a postgraduate diploma, sometimes you can convert certificates to master’s degrees depending on the subject and place of study. 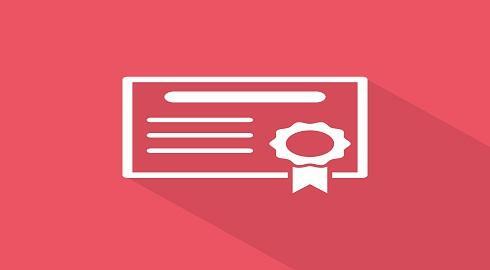 Some certificates are designed as add-ons or follow-ups to something you already have an advanced qualification or career in. For example, you could study for a Postgraduate Certificate in Medical Education once you’re already a doctor. What’s the Difference Between a PG Cert and a PG Diploma? While they’re very similar, most postgraduate certificates are shorter in length. They usually equate to 15 weeks of study, while a diploma will usually take around 30 weeks. One big notable exception of this is the postgraduate certificate in education (PGCE) which usually takes around a year to complete and will be studied full time. You can study for postgraduate certificates in all manner of subjects - some of which are very niche and specific, others are a little broader. It’s very likely that the subject will be vocational, so it’s a great way to start, or advance, a career in something you have a passion for. Some examples of subjects include Urban Design, Conflict and Development Management, Finance and Management, and of course, Education. What Kind of Structure Does a PG Certificate Follow? Many postgraduate certificates are designed with those who may already be in careers, or who have limited time available for study. Some courses will include very little teaching hours, but will be split up over a whole year, while others will be more intense. The PGCE is a full-time course, but others may only require a couple of hours a week or month. How are PG Certs Classified? A postgraduate certificate can be usually split up into a pass, merit and distinction. What Qualifications Do I Need for a PG Cert? You’ll usually be expected to hold a degree of at least a 2:2. Some certificates may require a 2:1 - often the PGCE requires a 2:1 or above, but this will depend on subject. If you have any relevant experience - for example if you’re returning to education after some years in a career - you may be able to bypass the need for such a high level of degree, or even the need to have one altogether in some cases. How Much Does a PG Cert Cost? As with anything, costs can vary depending on the course length, the subject or the institution. However, the good news is that postgraduate certificates generally cost a lot less than master’s degrees, and often less than postgraduate diplomas too. You’ll usually be looking at fees of around £3,000 - £5,000 - not cheap by any standards, but much cheaper than the £10,000+ a masters or diploma can set you back. There are also plenty of courses which are cheaper than this, depending on the level of teaching and class time involved. For some subjects you may also be eligible for grants and bursaries - this is worth checking with a course provider to see if it’s available and if you would qualify. How Do I Apply for a PG Cert? Generally speaking, you will apply for a postgraduate certificate directly via the university or course supplier. You should be able to find details of everything you’ll need to do to apply via the course provider’s website, including the qualifications you’ll need, any statements or projects you’ll need to prepare, and how to pay the course fees. It’s worth attending careers fairs and open days for any institution you’re thinking of attending before applying so you can get a feel for how the course will run and ask any questions you may have.